What are Interactive Touchscreen Displays? Interactive touchscreens nowadays act as an instructional tool with several interactive features that require a computer to operate. They are usually powered by a USB cable and need video outlets, such as HDMI, VGA, RCA Connectors, etc. Users can easily access and share files from their computers and use their finger as a mouse to manipulate the elements being shown on the screen. With interactive touchscreens, the users are free to display and share files across different operating systems with ease. 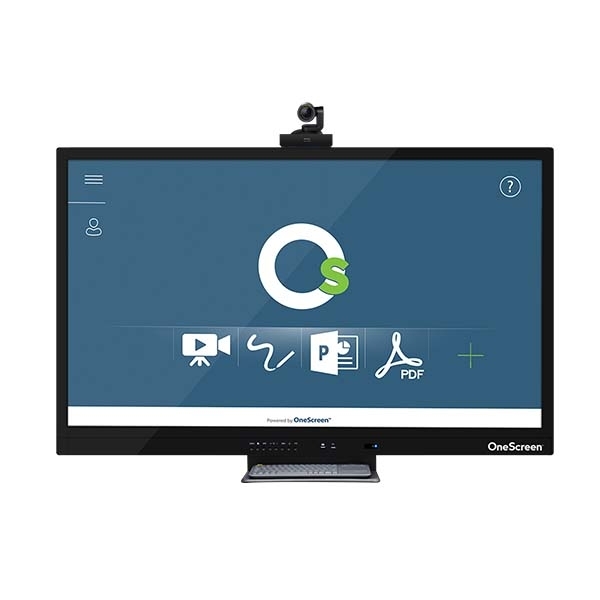 Most displays come equipped with innovative add-ons, such as video recording and interactive whiteboarding that assist users in creating an engaging environment. 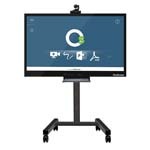 Utilizing an interactive touchscreen display is extraordinary inside the classroom or a corporate setting. They offer adaptable learning with a wide range of touch points and huge visual showcases, making it less demanding for everybody to be included. 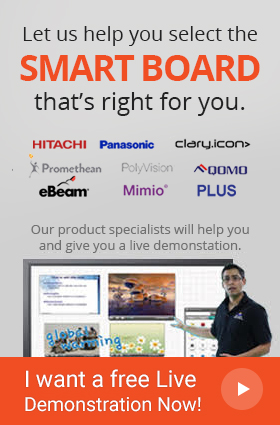 When coupled with interactive learning software such as SMART's Learning Suite or Mimio Studio, users can fully benefit from the touchscreen display. It doesn't matter if you prefer a Mac or a Windows PC! most Interactive Touchscreens are compatible with all the contemporary operating systems. Many manufacturers such as Newline and SMART Technologies also add a built-in Android operating system which makes cross-platform sharing simple. How Interactive Touchscreens Function in an Educational Environment? Back in school, the most boring task was to continuously listen to the teacher for an hour and keep noting down what was written on the chalkboard. Now things have changed! Students now can engage in a productive discussion and gain more knowledge through the use of interactive touchscreens. All the information written on the screen will be automatically saved and shared with the students in an instant. The students would now have more time to clarify their queries and understand a concept completely. It is also easier for the teachers who take multiple classes of the same course to write down the information once and save it on the computer which can later be displayed on the interactive touchscreen during the class. It is an unquestionable truth that students of all ages react more in collaborative environments, where interactive discussions take place, when contrasted with the conventional classroom setup. An intuitive and continuous lesson will probably be recollected by the students as it will be simpler to remember the lesson where a student was a part of the group discussion. This would increase the general efficiency of the classroom since students will probably appreciate a lesson that does not rely upon exhausting course books. 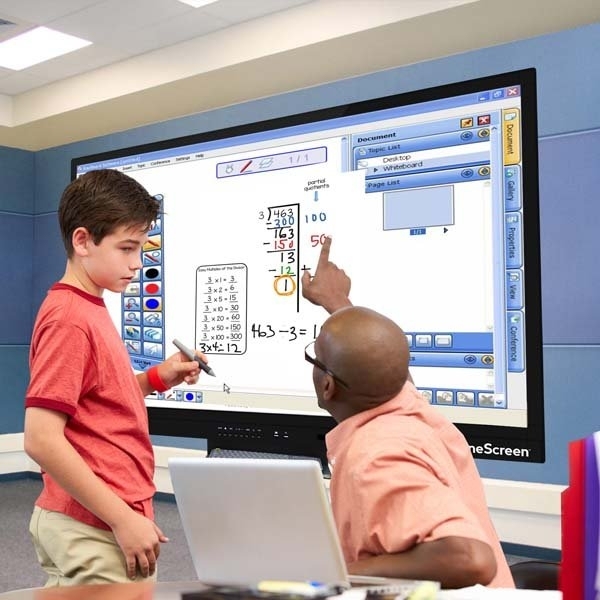 Interactive touchscreens are likewise free from the most major flaw of overhead projectors; they don't rely upon the lighting of the room and give a splendid HD output, something that is necessary for classrooms as students require optimum lighting conditions to make their notes. What Changes can Interactive Touchscreen Display Bring in a Business? Interactive touchscreen displays have effectively changed several industries. They can easily be added in various environments without any complications. With Interactive touchscreens, corporate meetings are no longer a dreadful necessity, instead, they become a place where you can undoubtedly make your ideas heard. 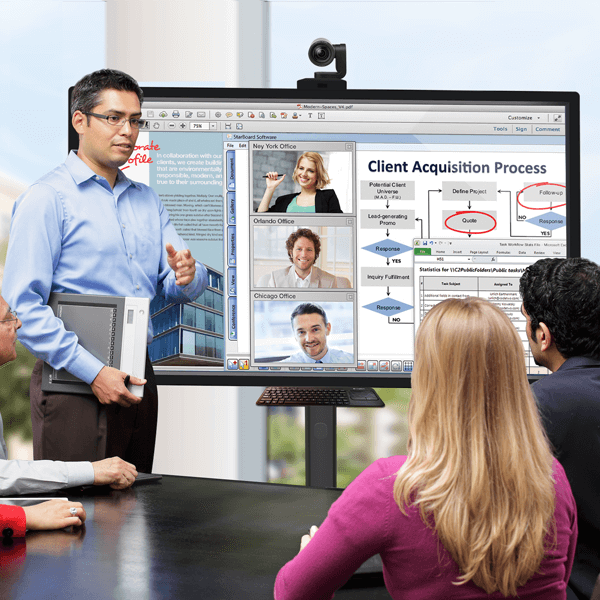 Interactive touchscreen displays can also act as an effective internal communication device. Interactive displays can be the best method of communication within a business hierarchy. New business directives, updates on security procedures and all other kinds of amendments can be displayed on interactive touchscreens.